We sell in set of 7 pieces. 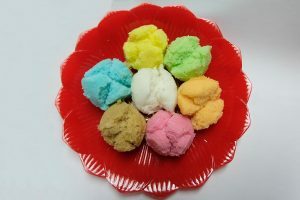 Ma Koh Kueh is one of our childhood favourite kueh. This traditional cake is often eaten with grated coconut and orange sugar.